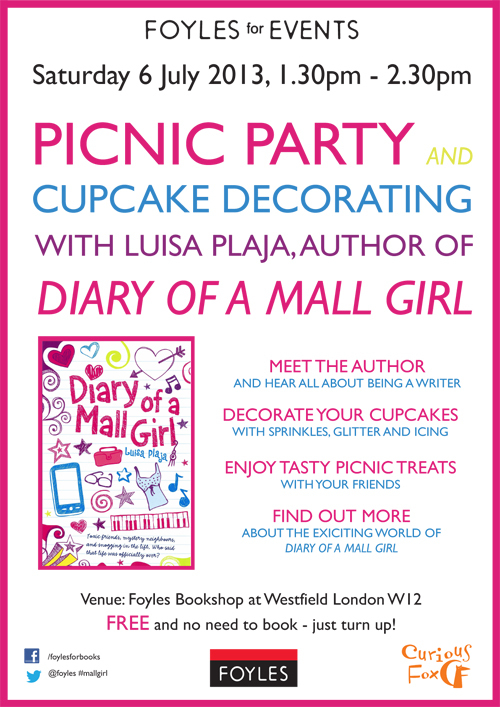 Come and see me at Foyles bookshop, Westfield London on Saturday 6th July 2013 from 1.30pm. There will be cupcakes! Find out more at Foyles.